OMG Posters! 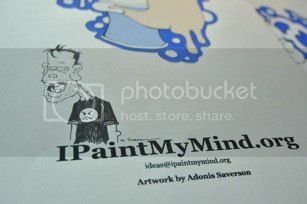 » Archive IPaintMyMind Print by Adonis Saverson - OMG Posters! My friend Evan just launched a new print series for his website, IPaintMyMind. 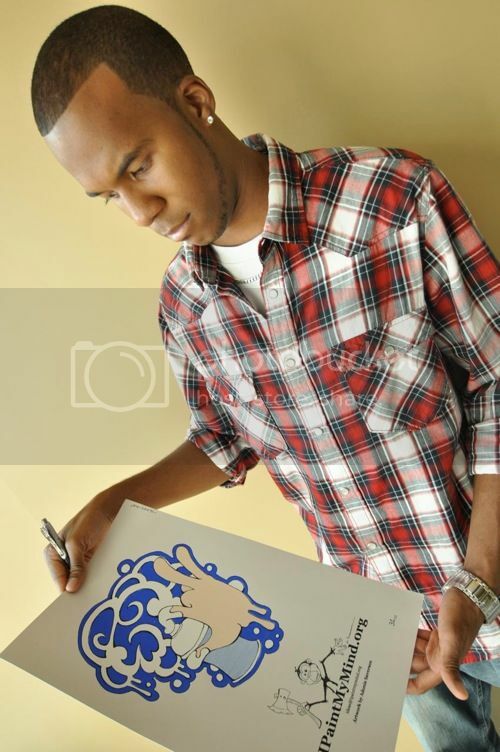 The first print, by Adonis Saverson, is a 12″ x 18″ screenprint, has an edition of 50, and costs $20. Each print also has a unique doodle by Saverson, making this an even better deal. 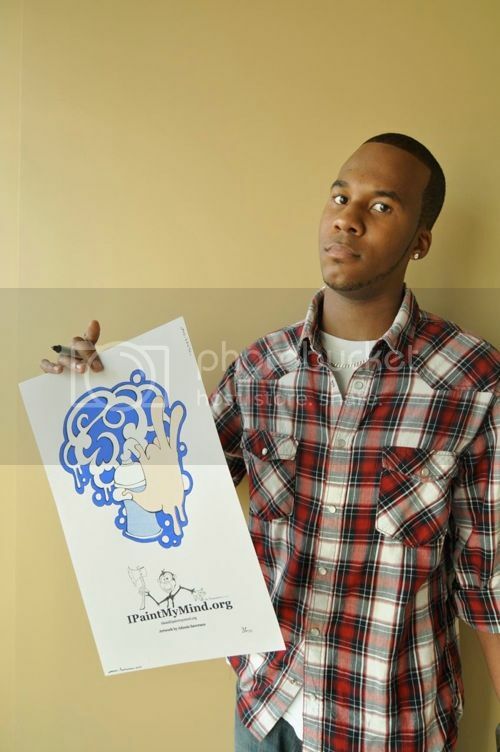 Visit IPaintMyMind.org. Is there a filter on what you post, or you just put up whatever anyone sends you? As I’m sure you can tell when you’re not ranting on the internet, yes, there definitely is a filter. However, I also like to help out friends that I know love art, especially ones that work their asses off building a non-profit site (I should have probably mentioned that IPMM was non-profit). I realize this print won’t gel with most peoples’ taste here, nor is it my favorite thing ever, but if I can help find some people that like it and help his organization, I’m more than happy to help. I like this print. Smooth lines, calming colors, and its simplicity. Sometimes less is more. I think its a great first time print, as well.